World Order is a Japanese music group produced and directed by retired mixed martial arts fighter Genki Sudo (Sudō Genki, 須藤 元気). 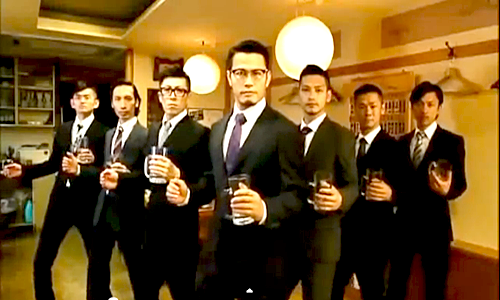 Genki Sudo is also the lead vocalist as well as a member of the group along with six other dancers. 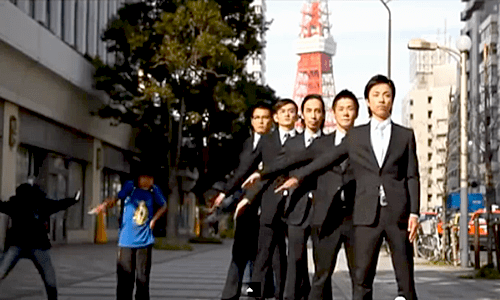 World Order is known for their synchronized choreography that reminds me of clockwork or an assembly line (see my post on the Algorithm March). When you watch the music videos, notice how the people around them react to the group and to the camera. 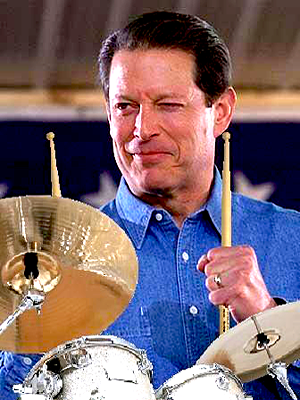 Apparently, World Order will choose a public space to film their performance with no control of the surroundings. People will go about their business around them. Most will ignore the group, but some will try to avoid disrupting the filming, take their own pictures of the performance, or even try to participate with the group! Row! Row! Fight the power! 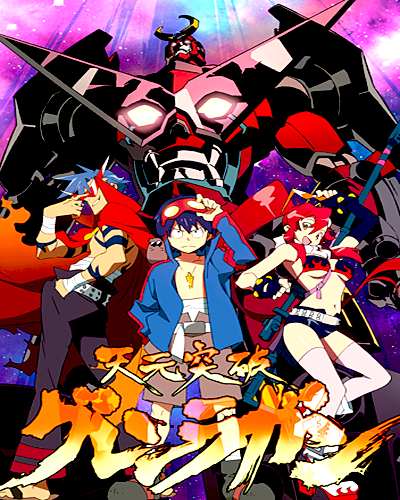 is from the Japanese mecha anime series Gurren Lagann (Tengen Toppa Gurren Lagann, 天元突破グレンラガン, “Pierce the heavens, Gurren Lagann”). Gurren Lagann is on a future Earth ruled by the Spiral King Lordgenome. Lordgenome forces humans to survive underground in isolated groups. Two teenagers named Simon and Kamina dream of going to the surface. Using a mecha known as a Gunmen, Simon and Kamina escape to the surface. Kamina hijacks another Gunmen and names it Gurren Lagann. Then, they begin fighting Lordgenome’s beastmen army along with other humans. The lyrics gained another context when they also became associated with the imageboards of 4chan. Last September 10, Moot changed the layout of the random board /b/ so that every new post was replaced by the phrase Row Row Fight The Powah, because of the start of the Large Hadron Collider. The /b/ users started spreading this phrase to other 4chan boards such as the Japan/General board /jp/ and the travel board /trv/ in an enthusiastic effort to popularize the phrase. However, the phrase did not receive much of a following from the other boards and, in fact, several of them tried to resist the invasion, especially the video games board /v/. The /v/ retaliation became known as V-rage. 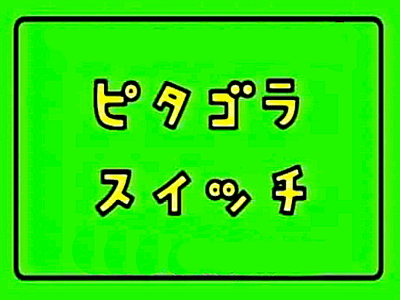 I already mentioned in a previous post the Japanese kids’ show Pythagora Switch (Pitagora Suitchi, ピタゴラスイッチ) and their awesome Pythagorean devices (Pitagora Sōchi, ピタゴラ装置) made from various common household objects. As if it couldn’t get any more awesome, the educational show also has a song and dance called the Algorithm March which really ramps up the awesomeness. The song and dance teach young children how to follow directions as they perform a sequence of body movements as they sing along with the song. It is first performed by Kikuchi Hideki and Yamada Kazunari of the comedy duo Itsumo Kokokara. 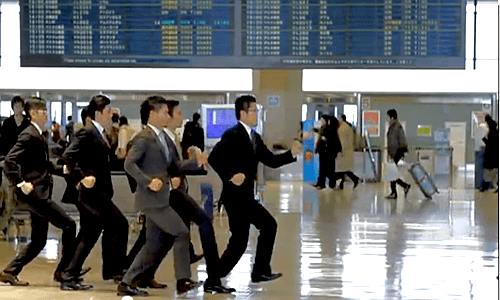 Then, they have guests such as soccer players, airline workers, and bus drivers performing the dance with them. Even ninjas! See the video clip below! The people line up and each person slowly moves forward while going through each body movement one at a time. The entire line goes through the sequence of steps (thus, algorithm march) as the song repeats. 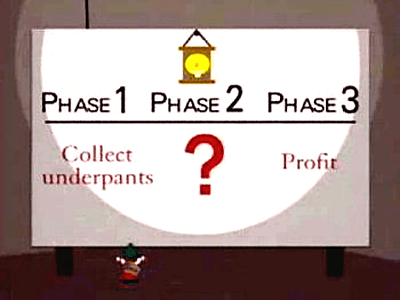 Obviously, everyone needs to follow the correct sequence of intructions for the Algorithm March to work. So, that is where the algorithm comes in. The word algorithm comes from the ninth-century Persian scholar Al-Khwārizmī (Abū ʿAbdallāh Muḥammad ibn Mūsā al-Khwārizmī, عَبْدَالله مُحَمَّد بِن مُوسَى اَلْخْوَارِزْمِي‎). Al-Khwārizmī means native of Kharazm, a city now in modern Uzbekistan. Al-Khwārizmī wrote a treatise in Arabic describing the rules for performing arithmetic using Hindu-Arabic numerals as well as for solving linear and quadratic equations. His arithmetic technique was called algorism when his work was translated into Latin and it was the Latinized form of Al-Khwārizmī. Incidentally, the word algebra is also from Al-Khwārizmī. It is from al-jabr, one of the ways he used to solve quadratic equations. His name is also the origin of the Spanish guarismo, meaning digit. The Center for Elementary Mathematics and Science Education at the University of Chicago has a series of videos from their Everyday Mathematics program. This program is a comprehensive Pre-K through grade 6 mathematics program developed by the University of Chicago School Mathematics Project. The videos demonstrate the use of algorithms in performing the basic arithmetic functions. Since an algorithm is a step-by-step solution to any problem, they are useful in areas beyond mathematics and computation. 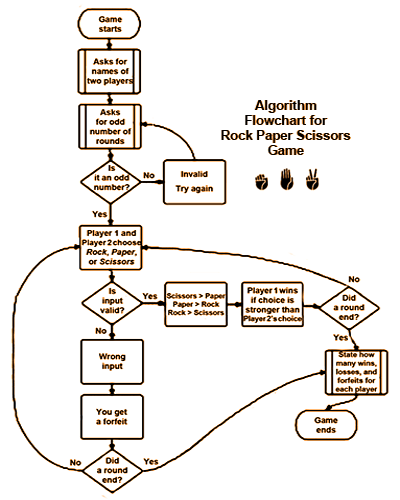 Flowchart for the Rock-Paper-Scissors game. Japan’s national public broadcasting organization NHK is similar to the United Kingdom’s BBC and, to a lesser extent, the United States’s PBS.